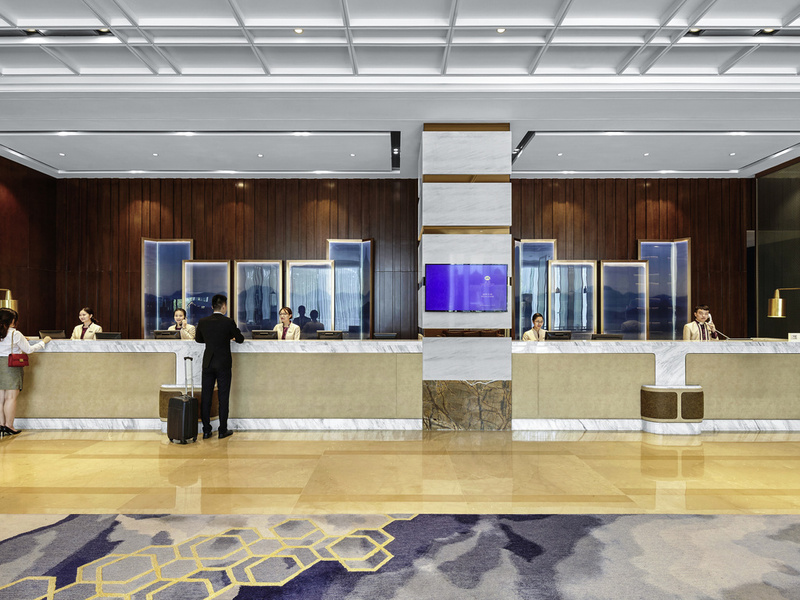 Grand Mercure Shenzhen Oriental Ginza is located in the Futian business district, next to the Zhuzilin Metro Station. The hotel features 479 rooms with a choice of Shenzhen Bay or mountain views, three restaurants, three bars, an indoor swimming pool and fully equipped gym. It is located about 20 minute drive from the airport and Lowu Station, 15 minute drive from Huanggang Port and the Convention and Exhibition Centre. The hotel conference facilities are the ideal meeting venue for up to 400 delegates. Plan an exciting and eventful trip to Shenzhen. Visit popular tourist attractions such as Happy Valley, Coco Park, Golf Club, shopping malls and entertainment places. Hotel staff is glad to help you with your trip. There are 481 rooms with 8 different categories to suit different guest. The Superior twin room and Queen room have a mountain view, the Deluxe twin room, queen room and double beds room have with extra space a view of the bay. The Executive rooms are available with executive floor privileges. The Bay view suites are available with executive floor privileges with pleasant view of the bay. Sit back with a glass of wine or a whiskey at this stylish and chic bar, as you enjoy spectacular city views and immerse in the sounds of beautiful music.Wine down over a drink with the scenic views overlooking the dazzling city. Enjoy an afternoon tea, coffee and pastries or catch up with friends over wine, while enjoying the laid back atmosphere at this elegant bar.